Dean Bair has a birthday today. New comment added. 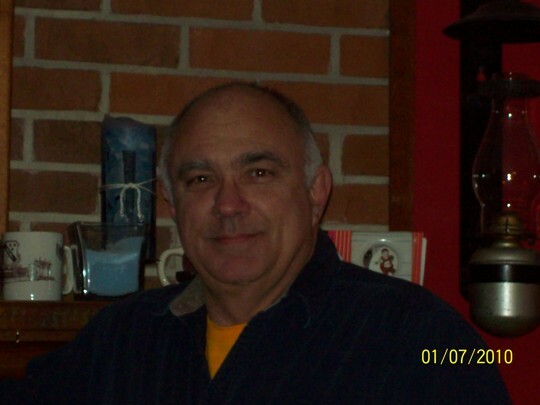 Dean Bair updated his profile. View. Dean Bair posted a message. So sorry for your loss ... My prayers to you and your Family. Dean Bair added a comment on his Profile. Dean Bair has a birthday today. Imagine coming around a blind curve on a dirt road and running into this baby eye to eye. When I got stopped we were ten yards apart staring at each other. Don't let the picture fool you. He was bigger than me and the bike together. His horns tip to tip were at least 6' and standing I could just see over his back. Yes, I yielded the right-of-way. 5,255 Roadtrip motorcycle trip August 28, 2009 - September 18, 2009. Started in Valdosta, Ga and went thru Al, Ms, Ar, Tx, Nm, Az, and stopped for a few days in Hanford California where Mark, my middle son, serves in the Navy. I came back thru Az, Nm, Tx, La, Ms, Al, to Valdosta Georgia. It was a great trip.